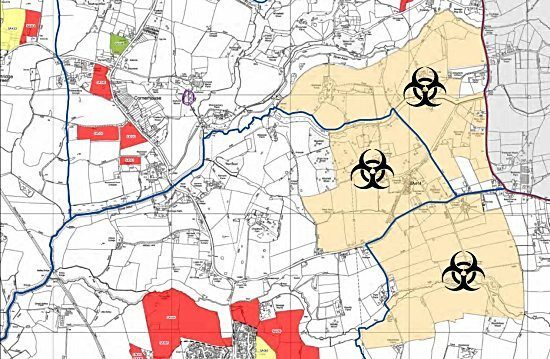 This site has evolved from an area initially identified as a broad location of search following the publication of the 2010 New Market Town Study, commissioned jointly by Crawley Borough Council (CBC), Mid Sussex District Council (MSDC) and Horsham District Council (HDC). The developer has previously expressed a preferred approach for a development of up to 10,000 dwellings on land in both Horsham and Mid Sussex administrative areas. However, within HDC a development of up to 6,120 dwellings together with associated infrastructure is currently being proposed for consideration. 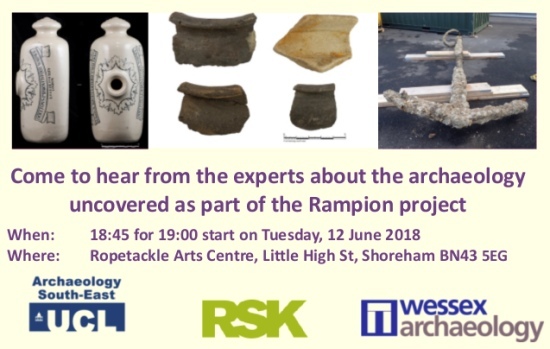 The site falls in Woodmancote, Shermanbury and Henfield parish areas. The site is in multiple land ownership, which may affect deliverability. Landowner interest in developing the whole site would therefore need to be carefully tested. There would also be a need for cross boundary working, with MSDC and with West Sussex County Council. The site has a range of environmental and infrastructure constraints including an area of flood risk which would require mitigation. If developed, the site would need to create its own social, economic, transport and utilities infrastructure. Improved connectivity to the trunk road and rail network (which is some distance away) would also need to be carefully considered. Any major development would also need to take account of the retail viability of existing settlements such as Henfield. 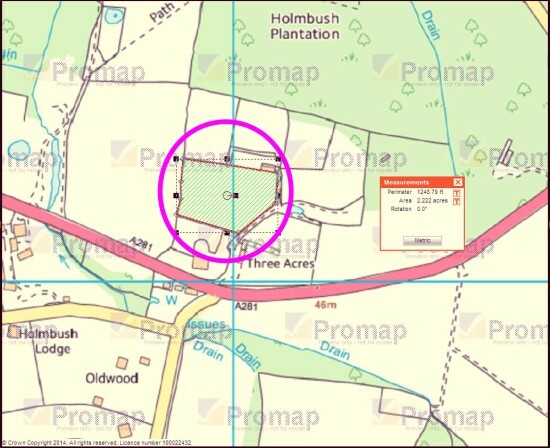 Unless allocated for development through the review of the Horsham District Planning Framework (HDPF) it is considered development would be contrary to Policies 1 to 4 and 26 of the HDPF and potentially other policies relating to the constraints of the site. It is therefore assessed as ‘Not Currently Developable’. Click the map to get the current timetable. In theory, from 7-11th February to permit the installation of the rat underpass. In reality, a three-point turn should get you out of trouble. Yours for £4m. Cinema. Optional vineyard. More information here. Seller downsizing. West Sussex house price inflation is a myth: in July 2013, Woodmancote Place was on the market for £8m; now, in July 2015, Woodmancote Place is on the market for £8m. 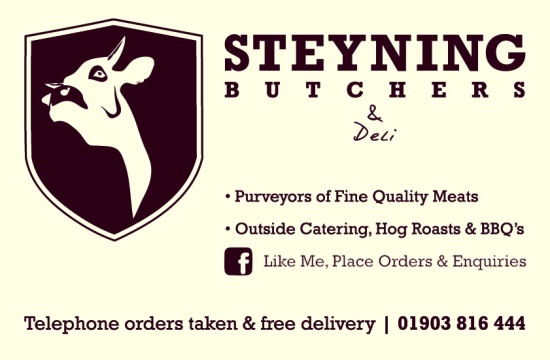 Steyning Butchers have opened a new branch at Millbrook in Horn Lane (immediately adjacent to Woods Mill). Initial opening hours are 9:00-17:00 on Thursdays and Fridays, 9:00-15:00 on Saturdays (but they expect this to increase over the next six months). Visited today, they had a good range of both meat (including rabbit) and poultry (including guinea fowl). It all looked very appetising. Responding to a compliment on the appearance of the chicken, the butcher noted that their chicken contain no water beyond what the hen chose to consume during its lifetime. They stock free range eggs (and bacon, of course) and will supply veg boxes to order. 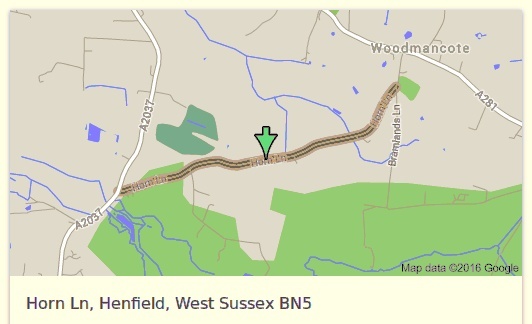 ‘Walking distance’ may be a bit of a stretch for some readers — but Horn Lane is much closer than Steyning. Your intrepid reporter (who drove there) purchased a 14oz T-bone steak (£8) for consumption this evening. Due to a very brief and quick affair between my very beautiful dalmatian and my stunning pharaoh hound, together they have produced eight very wonderful and healthy puppies in chocolate with white trim and black with white trim, Both boys and girls are available.